The colors in Louisville Kentucky were at their peak this past week before ice storms came through days ago and put a halt to so much of nature’s show. 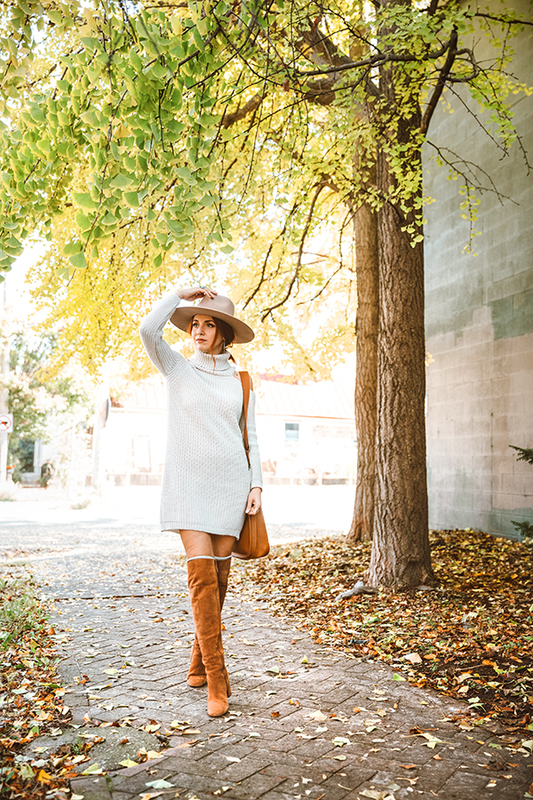 It is so nice to cozy up in long, fuzzy knits and over the knee boots now that the cooler temps have set in for good. I have small calves, so I always find myself wearing thick over the knee socks underneath to help fill them out. Nordstrom has a really wonderful pair of brown suede over the knee boots that I am in love with, and you will be too! 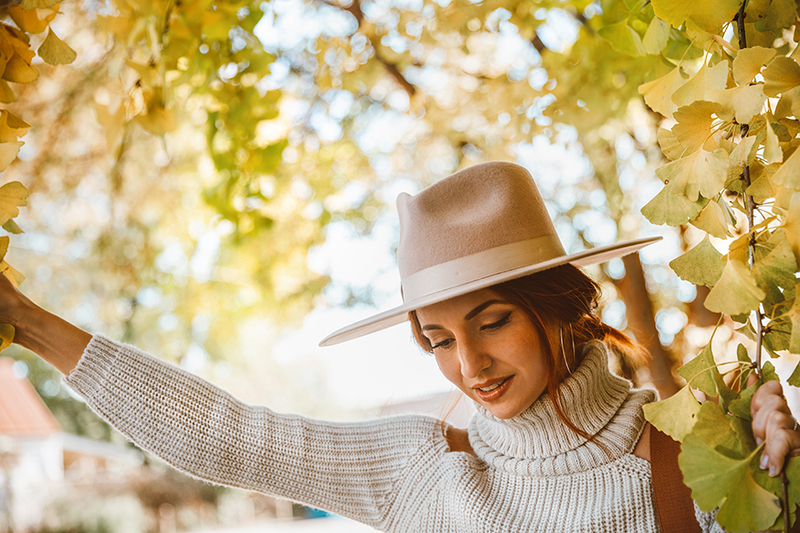 Also, if you are in the market for a fantastic wool fedora that works with every outfit this fall and winter, I listed 2 at the bottom that are spot-on perfect for ever ensemble and are so very versatile that you can’t go wrong. 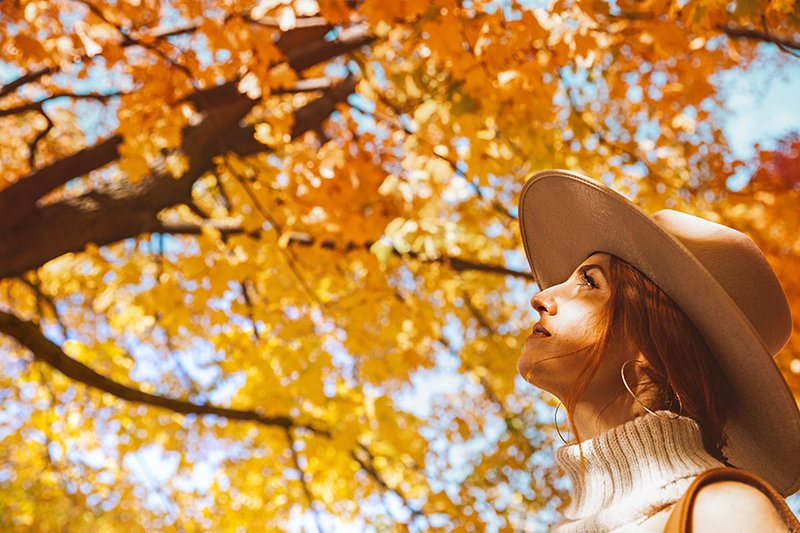 I hope you were able to get out and enjoy nature and Autumn while it lasted! Everyone travel safely while visiting friends and family this holiday weekend and hold your loved ones tightly. Sending wishes for happiness and laughter to you all! 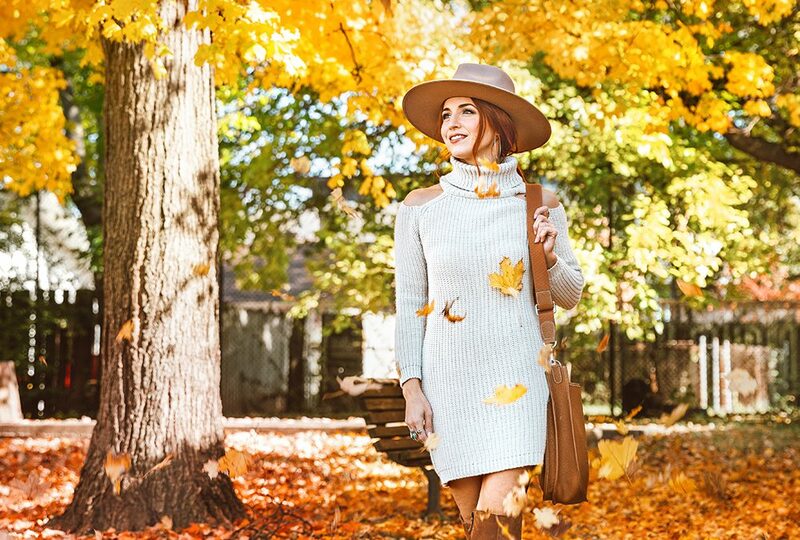 Sweater Dress | Check out my faves HERE, HERE and HERE(only $25! )!